Gout is a joint condition that approximately 1 in 50 people will suffer from in Brisbane at some point in their lives. It is more prevalent in people over the age of 40, however, it can strike at any point in life. What Is The Condition Of Gout? The worst cases of gout occur from the patient suffering from severe pain in the joints. Approximately 70% of cases will originate from the patient’s big toe. Other areas that gout can originate from include: ankles, fingers, elbows, and knees. What typically happens is that the joint becomes very painful and the pain lasts for approximately 1-2 weeks before symptoms go away. Typically, the pain associated with Gout will peak within 24 hours. This is different from an infection, where symptoms take longer to develop. If you are unsure whether you have gout, your GP can take sample fluid from the affected joint and send it off to Pathology for testing. Please note in most cases, your medical doctor will be able to correctly diagnose gout without any pathology testing. Other options for diagnosis include CT scans. Some people think that gout only affects old people. This is not true. There are many cases of people under the age of 40 suffering from gout or gout-like symptoms. Gout is caused by excessive drinking. There are many cases where diet is the main factor. Usually a case of excessive protein. Genes don’t matter. The is a growing body of research to suggest that the human bodies metabolism (affect by genes) is even more important to your chances of getting gout than diet is. N.B., How do you reduce these risks? Get your blood pressure checked and get a blood test for all the above conditions. Simple. What About Diet and Gout? For people who suffer from Gout, they will typically have high levels of Uric Acid in their bloodstream. Why is this a problem? This will increase the chance of the Uric Acid leaving the joints as crystals which causes the condition of gout to form. Need to see gout specialist Brisbane northside? 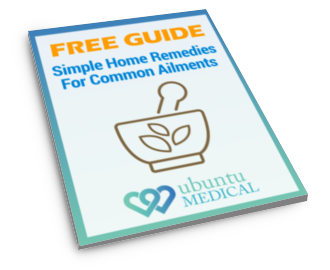 Call Ubuntu Medical Stafford today on (07) 3857 3777.